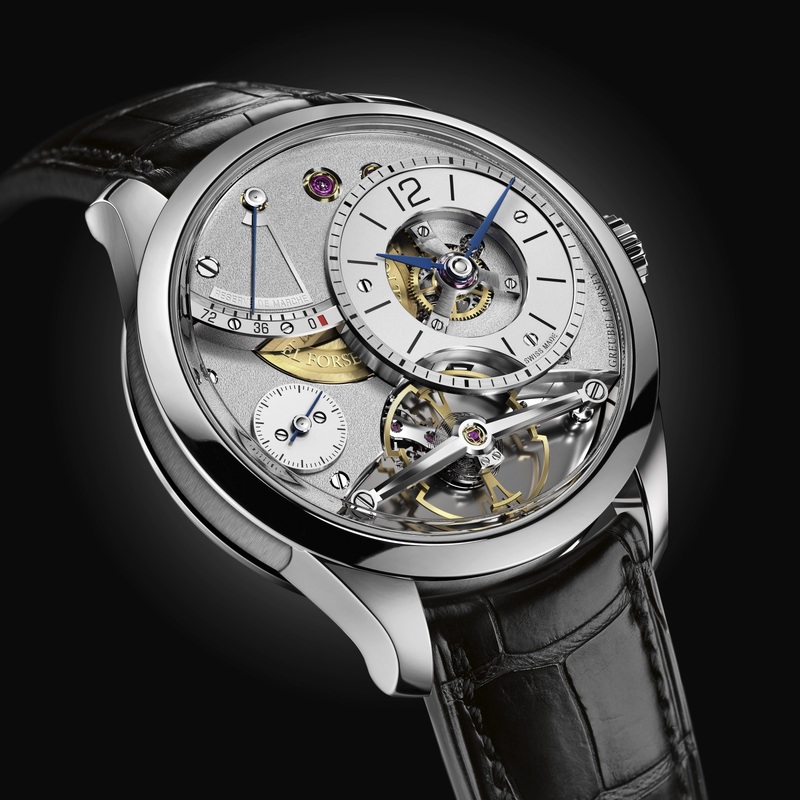 Back in 2016, Greubel Forsey released the Signature 1 – a time-only wristwatch which served as the brand’s entry level piece. The new Balancier Contemporain seeks to join that position as a compelling alternative while offering its own distinctions. The most tangible difference that this timepiece offers compared to other Greubel Forsey models is its size. For a brand that produces massive watches above 40mm in diameter, the Balancier Contemporain comes in a relatively diminutive 39.6mm white gold case with 12.21mm thickness which offers better wearability. A recurring theme of Greubel Forsey timepieces is depth, which is accentuated by the multi-layered construction of the dials. The hour and minute hands are located on an off-centred openworked dial to provide space for exposing the balance wheel and frosted titanium plates underneath. Noteworthy is the visually interesting steel tripod that supports the hours and minutes hand while exposing the motion works underneath. 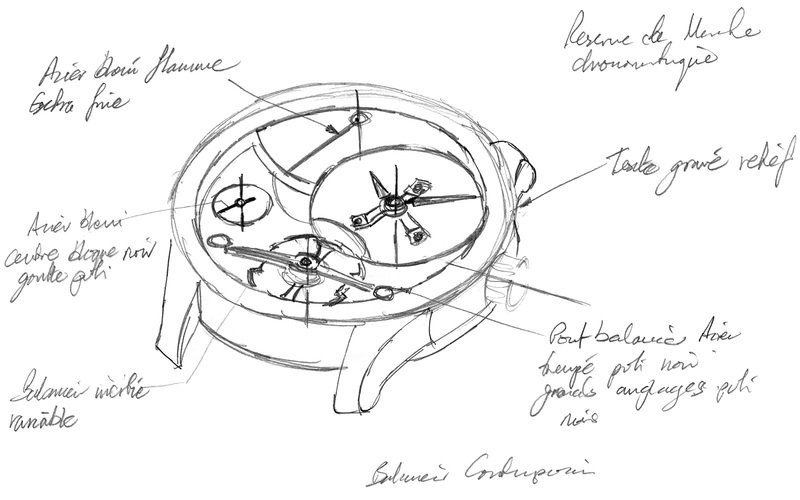 Similar to the Signature 1, a regular balance wheel is used which is an exception rather than the norm for a brand that typically makes tourbillons or double oscillators. Nevertheless, it is still of interest being a massive 12.6mm in diameter (almost a third of the case size) and proudly displayed on the dialside of the watch. The balance wheel also comes with all the chronometrical bells and whistles with its proprietary freesprung, variable-inertia design and an overcoil for the hairspring. Holding the assembly in place is a gorgeously finished black-polished steel bridge, that is more often reserved for supporting tourbillon carriages. 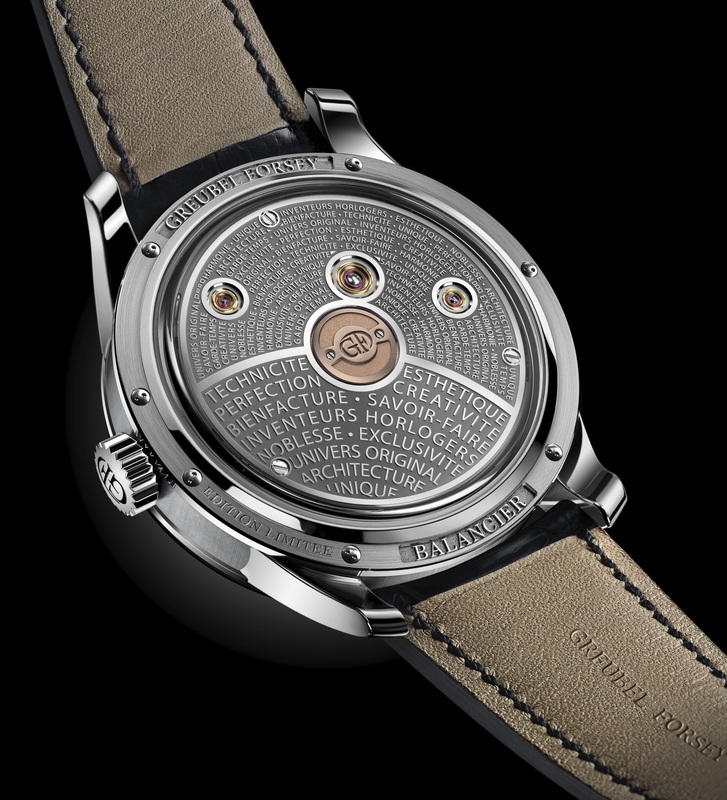 Unlike the Signature 1 however, the Balancier Contemporain has an added complication of a power reserve indicator that shows the remaining power of its two mainspring barrels. The barrels are linked in series and has a clutch to prevent overwinding – a feature more commonly found on automatic watches than manual-wind timepieces like this one. 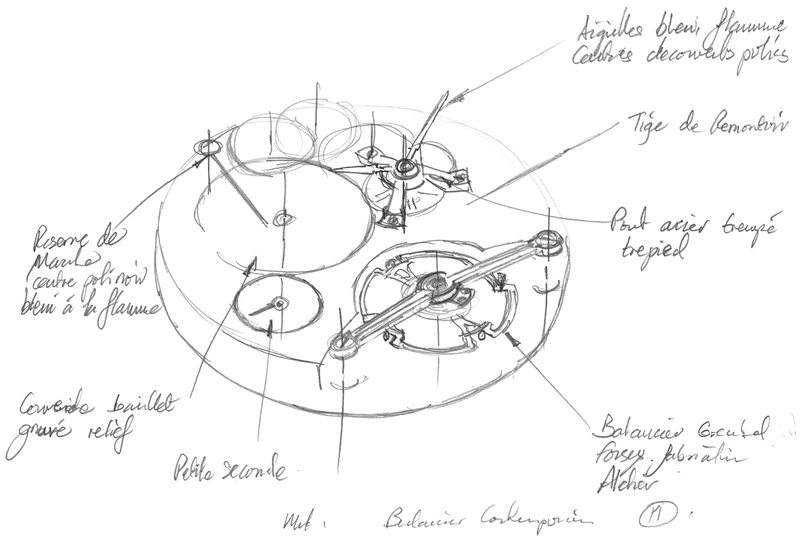 Pencil sketches outlining the key design features of the Balancier Contemporain. Turning the watch around reveals another typical design ethos of Greubel Forsey which is the relief-engraved inscriptions of the brand’s values, spanning across the movement plate. To break the monotony of the flat surface, three massive gold chatons containing the ruby jewel bearings can be seen with polished countersinks. A gold medallion which will contain the limited-edition numbering is screwed onto the centre of the movement plate to complete the package. 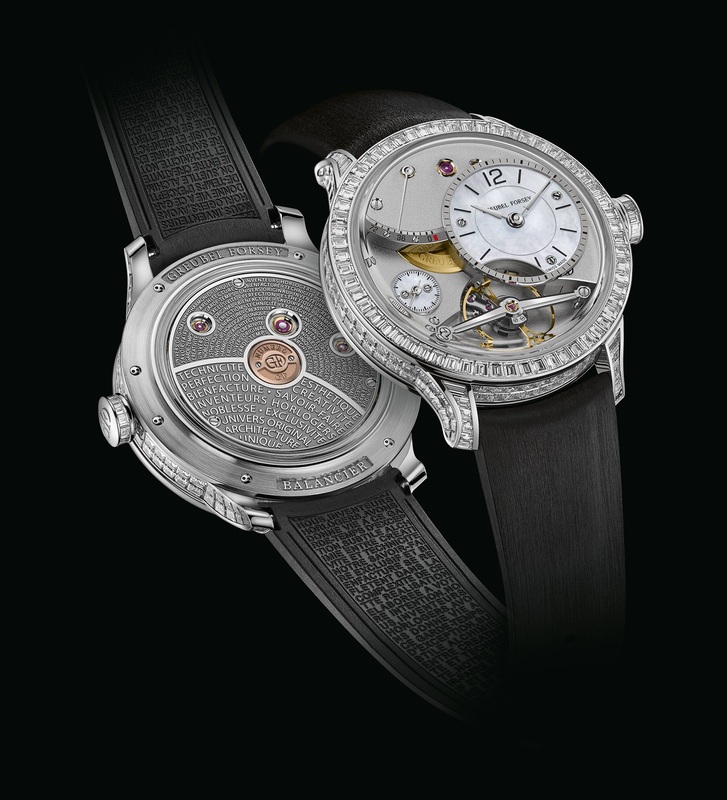 Available as a more grandiose alternative, the Diamond Set Balancier Contemporain has 232 baguette-cut diamonds invisibly set into the bezel, caseband, lugs and crown, which increases the overall case diameter to 41.6mm. The invisible setting provides a seamless and neat appearance by hiding the metal prongs that hold the diamonds hidden away from view. In contrast, the dialside is more conservative with the cutouts exposing the motion works now hidden behind a solid, mother-of-pearl dial for the hours, minutes, and subseconds. Diamond Set Balancier Contemporain, with invisible set baguette-cut diamonds across the case, bezel and crown. 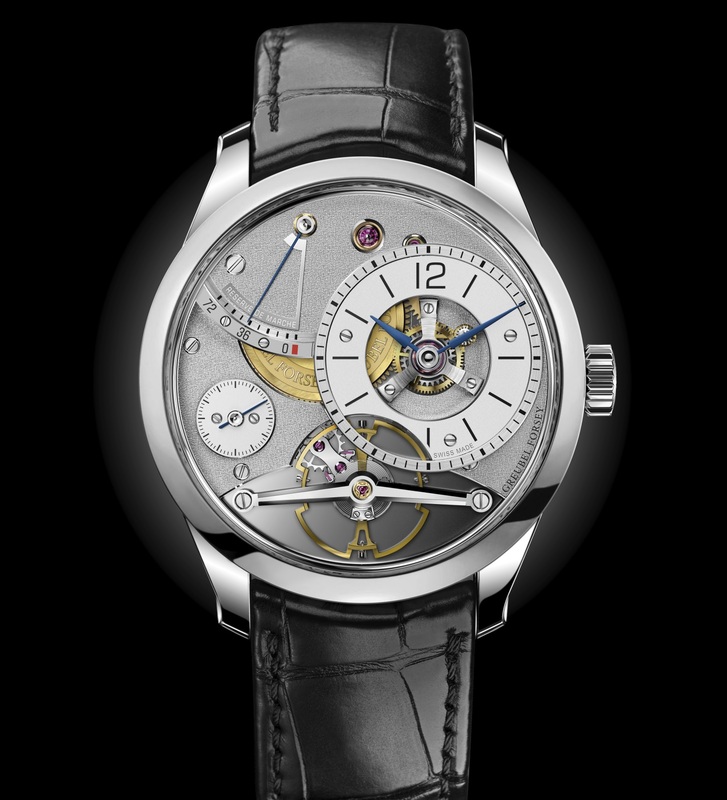 The Greubel Forsey Balancier Contemporain is limited to 33 pieces in white gold, and is priced at CHF195,000 before taxes. The Diamond Set Balancier Contemporain is made as a separate series, with pricing to be confirmed.